This entry was posted in Pallets, Plastic Pallets, Shipping Containers on March 20, 2019 by dmadden. A lot of things can go wrong when it comes to cold chain logistics. Getting products and shipments from one place to another can be challenging enough, but making sure these packages stay the perfect temperature throughout the journey is even tougher. If one of your items gets too warm, you’ll lose money and run the risk of harming consumers. This entry was posted in Plastic Pallets on December 20, 2018 by dmadden. This entry was posted in Pallets, Plastic Pallets, Storage on November 19, 2018 by dmadden. This entry was posted in Bulk Containers, Pallet Containers, Pallets, Plastic Pallets on August 20, 2018 by dmadden. This entry was posted in Metal Pallets, Pallets, Plastic Pallets, Wood Pallets on July 5, 2018 by dmadden. Staying stocked up on inventory means being able to provide your customers with the products they need, but you also need a place to store your products until they hit the shelves. That’s where the warehouse comes in. Your warehouse must be able to handle the amount of products you have to store, however, and that means you’ll need to think about what kinds of pallets you use. 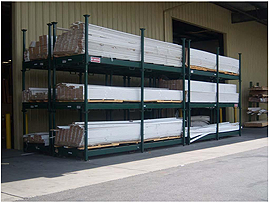 You’ll have to find a safe way to store your inventory so that it doesn’t become damaged, which can be done with the help of the right types of pallets and a commitment to organization and safety. This entry was posted in Metal Pallets, Pallets, Plastic Pallets, Wood Pallets on June 10, 2018 by dmadden. 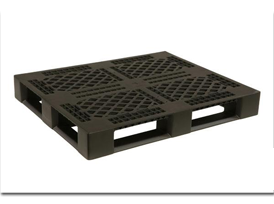 What Is the Difference Between a Skid Pallet and Plastic Pallet? Product storage is an essential aspect of running a business, whether you keep your inventory in a warehouse or onsite. It’s up to you to decide how you’ll handle your products before you send them out to the shelves, and there are a handful of options to choose from. 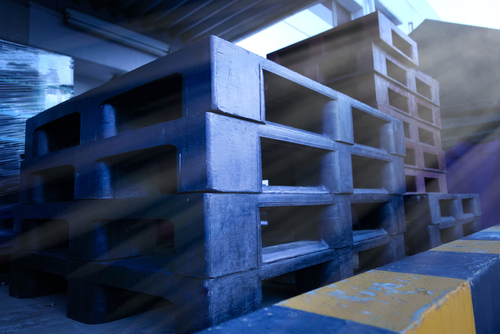 Pallets are a popular choice across many different industries, but they’re not all the same. Educate yourself so you know what kinds of options you can choose from and pick the best one for your operation. This entry was posted in Pallets, Plastic Pallets, Wood Pallets on June 8, 2018 by dmadden. The United States of America has been no stranger to the concept of recycling and reusing products and packaging. The practice of recycling has been around in this country for more than three decades. Introduced in the 1970s, recycling is believed to be one of the oldest and most important cornerstones of the environment movement that garnered mass media attention toward the late 80s and early 90s. The appeal of recycling and reusing that was present during the early days of the movement has faded away in recent times. People are no longer hyped up or excited about recycling products and packaging waste management. In fact, you would be surprised to know that there are many activists out there who think of recycling as a boring and fusty way of establishing the environment movement. In their opinion, there are far more exciting and innovative solutions to the problems that are being faced by Americans today. Is the Recycling System Frozen In Time? The lack of attention toward recycling and packaging waste management over the last decade or so has impeded progress in this field. Given the fact that people no longer think of recycling as an important solution to our environment’s problems, it is not surprising to discover that the entire recycling infrastructure in the United States has been stuck in a 1970s system. Such a system is not only expensive, but also inefficient, which is why modern-day activists often fail to acknowledge the significance of recycling and its potential to make the world a better place to live in. That being said, it would unfair to say that recycling rates have been stuck in a limbo over the last 30 years. 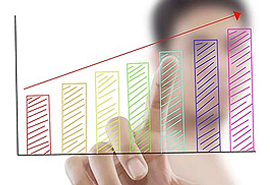 The rates have steadily increased through the years. However, the consumption has increased at a much higher rate, which has allowed the recycling rates for most recyclable goods to drop below 50%. This is not a number that the authorities, the private sector, or the consumer society can be proud of. It is also worth noting that the country continues to send $11.4 billion worth of valuable material to landfills every single year. These materials include highly reusable and recyclable materials, such as aluminum and PET plastic. It goes without saying that there is a considerable market demand for these materials that are being wasted on a yearly basis. The statistics mentioned above are derived from a report that was released by an organization that is called the As You Sow Foundation. This particular organization is putting up a commendable effort to revive the concept of recycling in the country by partnering up with several enterprises, non-profit organizations, and state legislators. Their primary motive is to introduce Extended Producer Responsibility into our current economy. Extended Producer Responsibility, or EPR, is an upgrade to the current U.S. recycling system, according to a number of activists and environmental experts. People in America need to realize the importance of establishing a sustainable recycling system and packaging waste management program that everyone is going to appreciate. The use of recycled and re-used products does not only help the environment, but it also saves the economy a huge amount of money as long as the system functions in the manner that it was supposed to. Under the current recycling system in the United States, the consumers have to pay for recycling. The process itself is facilitated by the municipal governments, with little to no responsibility being shouldered by the producers, who should be responsible for manufacturing recyclable and reusable goods. 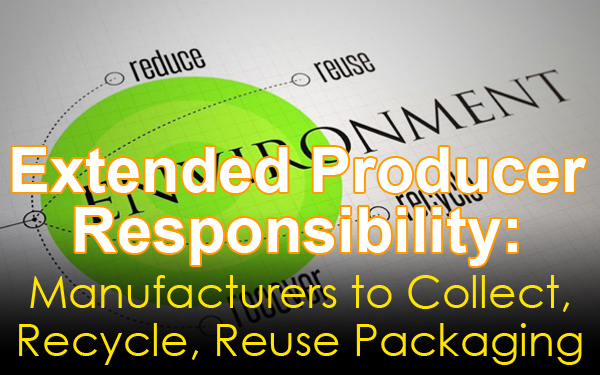 In a recycling system that is based on the principles of Extended Producer Responsibility, the companies that create and use packaging will be required to collect them and recycle/reuse them in whatever way they possibly can. As the name clearly suggests, this alternative recycling system will put some extra bit of responsibility on businesses in America. They will have to fulfill the duty of protecting the environment, and helping out municipal governments and consumers in increasing the rates of recycling. From the point of view of the legislators, there is every reason for the United States of America to adopt the Extended Producer Responsibility recycling system. After all, this system has been employed in Europe with tremendous success. In the United States, the beverage companies were the first ones to bring up the proposal of introducing EPR into the system. Nestle Waters and Coca Cola (although less publicly) were quite interested in giving EPR and packaging waste management a chance. What they really wanted was to see PET plastic recycling increase without further bottle bills being passed by the legislators. 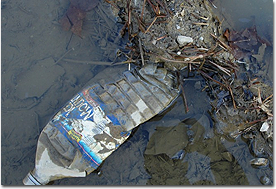 These bottle bills were a headache for Nestle Waters and Coca Cola, because they required them to fund the container deposits in certain states of the country. It is important to note that the introduction of EPR will not be restricted to the beverage industry. Experts believe that it would be a missed opportunity if the plan is not expanded to include the grocery industry alongside the beverage business. The expansion makes a lot of sense, because an increase in the number of participants (in the form of individuals, companies, or organizations) will result in a lowered cost for everyone and higher recycling rates throughout the country. This will keep the producers, the consumers, and the environmentalists equally happy. However, such a scenario can only be achieved if the authorities are able to make a perfectly smooth transition into the EPR system, which is quite a difficult task to accomplish. The beverage industry has been criticized for its inability to improve the recycling rates of bottles and cans for a number of years. However, the grocery manufacturers have been able to escape the wrath of critics, legislators, and passionate environmentalists. This is the reason why the manufacturers in the grocery industry are less on board with the EPR plan. They feel as though they are not nearly as responsible as the beverage industry, for polluting the environment by neglecting recycling and reusing opportunities. 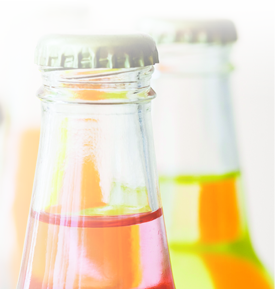 Why Are the Beverage Companies Expressing Interest? When you think about it, you realize that the major players in the beverage industry desperately need the EPR plan for two simple reasons. First, adopting this plan and establishing it across the country will help them fend off a good number of their hostile critics. Second, the implementation of the EPR will allow them to enjoy a much lower cost on recycled PET. Once the cost of recycled PET is reduced, beverage companies will be able to use more recycled content in bottles without getting their costs increased significantly. In short, the primary reason why beverage companies are so deeply interested in implanting the Extended Producer Responsibility is because it will allow them to rake in more cash at the end of the day. The monetary incentive in recycling and packaging waste management is strong enough to make them really push this idea forward. The high-ranking officials of several reputable beverage companies have expressed their opinions on why the industry as a whole is promoting the idea of implementing EPR. For instance, according to Michael Washburn (director of sustainability for Nestle Waters, North America), packaging is the largest environmental footprint that the beverage companies are leaving behind. Therefore, from the perspective of sustainability, it is very important for companies like Nestle Waters and others to increase the use of recycled PET. As of this moment, they are being unable to enhance their reliance on recycled PET. Once again, there are two simple reasons for this. The cost of recycled PET is still very high, and the supply of the product is quite limited. As far as the manufacturers of the grocery industry are concerned, the monetary incentive is a lot less, compared to the one that the beverage companies are eyeing at the moment. According to many grocery manufacturers, EPR is nothing more than an additional and partly unnecessary expense that they can easily do without. As of this moment, most grocery manufacturers, including the major players in the industry, are simply playing the waiting game. They are waiting to see how big of an issue EPR becomes in the coming months or years. If the legislators, activists and consumer society keep pushing for the implementation of EPR, then the manufacturers in the grocery industry will probably hop on the bandwagon at the last moment. However, until that happens, the producers in this industry are content with simply watching things unfold without taking any proactive actions whatsoever. People who understand the benefits and overall value of EPR may dislike the kind of attitude that the grocery producers have put on display. 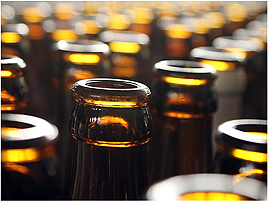 However, it needs to be understood that a genuine financial incentive or the establishment of stringent regulations from the authorities are the only things that will compel the beverage companies to embrace the idea of Extend Producer Responsibility. Right now, they are pretty happy watching packaging and products worth millions of dollars ending up in landfill sites. This begs the question, “Will EPR ever become a big enough issue for the grocery producers?” The answer depends on the actions of organizations such as “As You Sow.” If they join hands with the right companies and legislators, then they will be able to make this a big enough deal for people to be emotionally and financially invested. The EPR system cannot be implemented without the authorities, the legislators, and the companies paying their dues. In other words, the implantation program needs to start off with small baby steps. You cannot expect Extended Producer Responsibility to become an overnight sensation even if majority of the companies in the beverage and grocery industry get on board. It is going to take a lot of time, patience, and effort before EPR makes its mark on individual states across the country. Hence, it is very important for the people in charge of making EPR a possibility to come up with a fail-proof initiation plan for this brand-new recycling system. The EPR program should first be established in a state that has an active curbside recycling system. This would pave the path for a unified, national EPR system. If your business is not familiar with the EPR system, or does not have the expertise to create a perfect collecting, recycling and reusing program, then there is no reason for you to feel left out. You need to think small before going big. A packaging waste management system with reusable packaging and containers that can be easily bought and sold today is a great start. 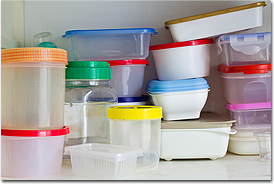 In fact, there are all kinds of reusable containers that you can purchase nowadays. 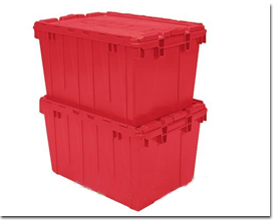 Some of the more common examples include pallet containers, wire baskets, metal bins, drums, IBC Totes, insulated containers, Gaylord boxes, stack racks, and bulk bags. 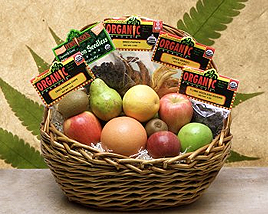 These containers are used repeatedly between a consumer and a producer or within a facility. In fact, the containers can be used thousands of times, while the packaging can be easily recycled. If the economy inclines toward an EPR system, then it would be necessary for your business to rely on reusable containers that can be easily collected. The major problem that people have with the EPR system is that the upfront costs of establishing a seamless collection system for returnable packaging seem quite high. However, producers need to realize that there is a golden opportunity to cut down on costs and boost savings in the long term, as long as the packaging is being recycled efficiently, and the bulk containers, metal bins, and totes are being used over and over again. Think of it in this way. Once you start using and collecting reusable containers and returnable packaging, you will be able to trim labor costs significantly (as you no longer have to employ people for box assembly). The amount of time and money spent on material handling is also reduced. You will also have to deal with fewer rejects due to damaged packaging, as you are using the same containers over and over again. Most importantly, you can reap the rewards of increased floor space, as plastic and metal containers can be piled up into a huge stack. EPR would not only help to minimize the damage caused to the environment, but would also give producers an opportunity to lower their costs and improve their profit margins. 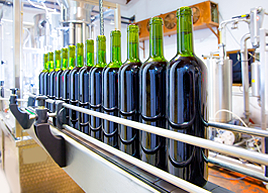 The beverage companies are ready to profit from the EPR system. The grocery producers are also considering it. It is high time that you give recycling and reusing a chance, as well. This entry was posted in Pallet Containers, Plastic Pallets on July 27, 2016 by madden_david. 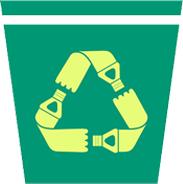 Recycling and repurposing containers and packaging is a great way to make your business more green. 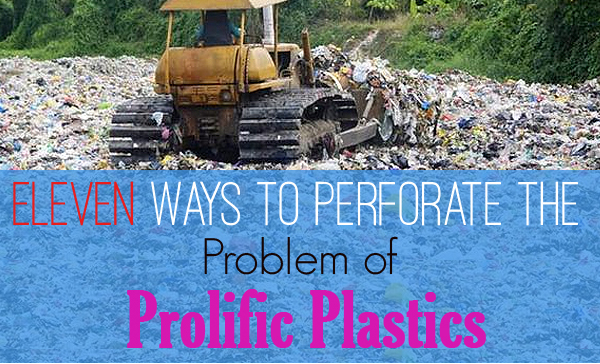 Learn why this is important and how to start addressing plastic problems and solutions. According to Mother Nature Network, the United States, alone, produces over 30 million tons of plastic waste each and every year. Since only 5 percent of plastic waste gets recycled, 28.5 million tons of plastic end up in our environment…each year. 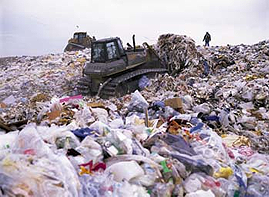 Nearly 50 percent of this waste goes into landfills where it will take many thousands of years to decompose. Forty-five percent of the plastic refuse is simply floating around the world as litter with much of it ending up in our rivers and lakes. Other plastics get washed out to sea to join up with one of the several floating trash gyres (floating islands of trash the size of Texas or greater). One of the gyres, the Great Pacific Ocean Garbage Patch, is as large as a continent and is wiping out sea life. How Does That Impact My Business? Many businesses leaders are aware of facts like these and genuinely want to help the planet, but they have shareholders, need to be concerned with profits, and, quite honestly, are commercial operations and not vigilante recycling organizations. These leaders want to know about plastic problems and solutions, but still need to take their bottom line into account. How does recycling and repurposing plastics impact their organizations, and what can they do about it. Simply put, consumers want to do business with businesses that are socially and environmentally responsible. Recycling and repurposing containers and packaging are excellent green ideas for businesses and offer the easiest way to start. Second, when businesses take green initiatives, it makes their staff happy and that is good for morale and PR. After all, many of those customers who buy green are also your employees. When they know that they are working for a company “with a heart” and that has taken an initiative to help the enviornment, they feel better about their work. This not only creates happy employees, but they share that happiness with their family and friends. Every CEO knows the value of good PR and marketing. How much more valuable is it when that marketing and PR doesn’t cost you a dime? Third, the bottom line is actually impacted by recycling and repurposing. Used containers and shipping materials can be purchased cheaper than new ones. Tax breaks can be earned through recycling efforts or donating materials to local schools or other non-profits. In addition to all of the good-will you will be earning, you will be making positive financial contributions to the company through lower product costs and tax breaks. Understanding that recycling and repurposing is good for business is one thing, but putting a plan into operation is another. How does one go about making a difference and becoming “more green”? Let’s take a look at eleven ways that you can make a difference on both a personal and corporate level. 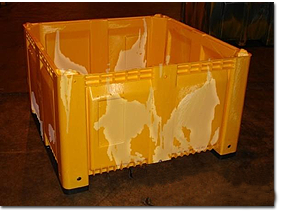 When shipping or storing bulk items, consider purchasing collapsable or uniform bulk containers that have been used and cleaned. Since the aesthetics of the container are not an issue, a few scuffs or marks are not going to affect the container’s usefulness or purpose. Whether you are moving or storing powders and granules or manufactured goods, many bulk containers are able to hold over a ton of weight regardless of whether or not they were previously used. Wood pallets break, absorb leaked material, and are generally disposable. This means you are shelling out money each time you need a new pallet. 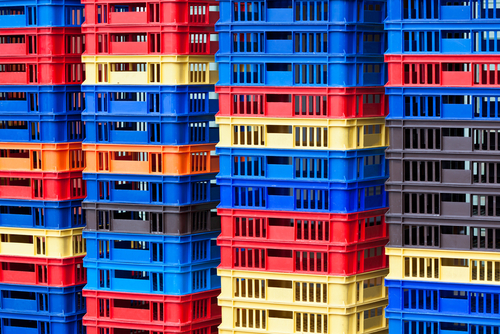 Plastic pallets are durable, reusable, and already in the market. Reusing a plastic pallet not only saves you money, but it keeps treated wood (not safe or desirable) out of the landfills. Plastic pallets are also bug-free and deter the growth of bacteria and mold. Bugs are the main reason that wooden pallets must be heat treated. Not only do wood pallets absorb fats, solvents, odors, mold, mildew, and bacteria, but they are susceptible to insects. For example, the emerald ash borer is a pest that can easily hitch a ride in wooden pallets and then cause tremendous amounts of damage to its new environment. Plastic pallets do not allow absorption or infestation. There are many reasons to use pallets, but no good reasons to avoid switching to used plastic ones. They are cost-effective and good for the environment. Stackable and nesting totes are containers used for storage and shipping. They are made from extra-durable material and have a long life. Sadly, many companies continue to buy more and more totes instead of seeking an alternative solution. Selling your old totes or buying used ones from a container exchanger is not only extremely cost-effective, but it lessens the need for more plastic totes to be manufactured, which is good for the environment as well as valuable green ideas for businesses. 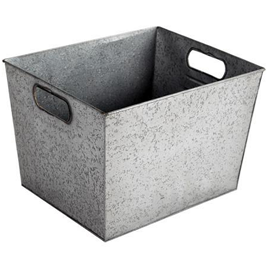 Much more durable than cardboard, the stackable nesting totes stack within each other for storage, but when the lid is added they stack on top of each other. Because they are fully sealed, they can store anything from powder to manufactured goods. 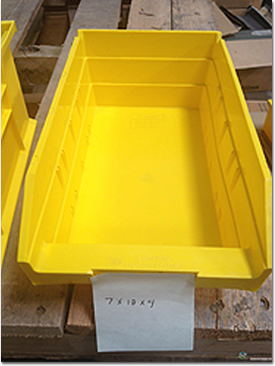 The totes are often designed to be used in conjunction with plastic pallets. A favorite of every business from the admin office to the mechanic’s garage and carpenter’s shop, stacking and nesting organizers are one of the most efficient ways to keep your papers, nuts, bolts, tools, and widgets separated and organized. If you doubt their durability, just think about how many uses nesting bins are good for at the TSA area of an airport. Next time you set out to the office supply store or industrial wholesaler to pick up some organizers, consider purchasing ones that have been used. They still function the same, but they can be purchased for pennies on the dollar. Even better, you reduced your carbon footprint and took one more step toward being a green industry. 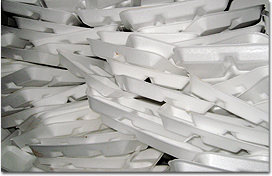 also known as styrofoam, is used in everything from packing material to egg cartons and from plates, bowls, and cups to take out containers at restaurants. Consider these four easy ways you can cut down on the use of styrofoam by using your own glass containers. At the meat counter, provide your own packaging. The butcher can weigh your container, balance out the scale, and price the meat for you without using plastic wraps or Styrofoam meat trays. Carry your own coffee cup with you. Almost every restaurant, gas station, and fast food joint will fill up your container instead of putting your drink in a disposable cup. Bring your own “take out” containers to the restaurant. Most of us know if we are going to finish our meal when we go out to eat. Past history tells us that some people clear their plates, and others take half of their meal home. We also know which restaurants provide scanty portions and which go overboard, so you know when to bring additional containers. Instead of adding another stack of Styrofoam containers to the garbage, simply put the unused food in your own reusable containers. If you are ordering take-out, you can give the service person your container and ask that they put your food in it instead of using their packaging. They may give you an odd look at first, but you might be surprised how quickly the idea catches on. Make sure you get your eggs in cardboard and not Styrofoam containers. If you have extra egg containers, bring them back to the store so they can be reused. If you only use a dozen eggs a week, you will keep several thousand containers out of the landfills over your adult lifetime. Bring your own bags to the grocery. At the very least, ask for paper bags at checkout. 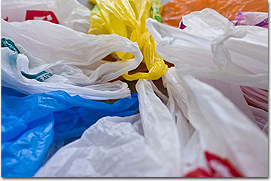 The average consumer disposes of several hundred small plastic grocery bags each year. You can make a huge impact on the environment simply by transporting your groceries in a reusable or greener alternative. Bring your own produce bags. A thin cotton bag (you can make one from an old t-shirt) is the perfect way to transport your fruits and vegetables without adding more plastic bags to the system. Additionally, since the cotton breathes, it is better for your produce. Use your own bags at the bulk food aisle or store. Simply check with customer service prior to filling the bag to find out how they will deduct the weight of the bag for you. While this may seem silly at first, there are billions of straws that end up in our ecosystem every year, and they don’t decompose any faster than plastic bags, which means they will be there for the next thousand years, at least. 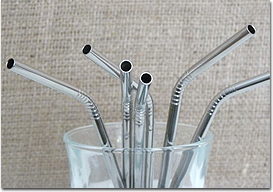 It may not seem convenient, but once you get used to bringing your own stainless steel straw with you, it will be hard to remember doing things any other way. Not only does juice contain extra sugar and, often, additives like high fructose corn syrup, but it is missing the fiber from the actual fruit. If you feel you must have juice, modern blenders and juicers are able to provide high-quality juice in a matter of moments. By eliminating just two bottled juice containers each week, you, alone, will quickly reduce the number of plastic bottles in our environment. There are billions of disposable lighters sold every year in the United States. Hundreds of millions of these lighters end up in storm drains, on our shorelines, and in landfills. In addition to the plastic taking thousand of years to decompose, the unused chemicals seep into the water supply, and animals see the bright colors and eat them, often dying from this consumption. Ban the Bottle’s fact page says that “Americans use some 50 billion plastic water bottles annually – that’s over $1 billion in plastic. And we recycle just one-quarter of them.” By taking advantage of reusable bottles, you are are helping to save the land, waterways, and oceans. This isn’t suggesting that you go back to swaths of cotton clumsily pinned to your baby’s bottom. The cloth diapers of today are form-fitted with elastic legs and button or velcro closures. They can be paired with absorbent covers for extra protection. Because of advances in textile technology, diaper materials do not need to be soaked in tubs of bleach and do not create horrible smelling sections of your home. The Environmental Protection Agency estimates that disposable diapers amount to over 7.5 billion pounds of waste each and every year in the United States. 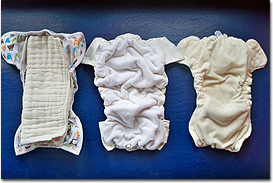 Not only are cloth diapers easy to use, convenient, less expensive than disposables, and better for the baby’s skin, but they are a great way to reduce your contributions to landfills, as well as your carbon footprint. Your use of cloth diapers might not eliminate the 20 billion disposable diapers that are thrown away each year, but you can reduce that number by approximately 6,000 for each one of your children who use cloth! Millennials are consumers who think green. It doesn’t take a complete retrofit of your industry or corporation to make a difference, either. A small change in your personal and corporate habits can have a major impact on your business and your world. Best of all, if you are using a container exchange service, you can save enough money to have a major, positive impact on your bottom line, as well. This entry was posted in Plastic Pallets on July 1, 2016 by madden_david. Millions of items, from your favorite snacks to electronic gadgets, made their way to American homes via numerous shipping and distribution channels. The factories which created these goods produce the items and ship them via containers. When businesses ship items in bulk, they either use wood or plastic pallets. But, which one is best? Let’s take a look at both options to help you make that decision. Using wood pallets carries many advantages during shipping. First, when selecting a pallet type, you need to consider the destination of your shipment. If you plan to ship goods internationally, you cannot expect your pallet to come back. Since plastic pallets are much more expensive, it is better to use wood pallets in this situation. Wooden pallets can also withstand more weight. Experts recommend using wood pallets if you ship items with a weight between 1500 and 3000 lbs.. 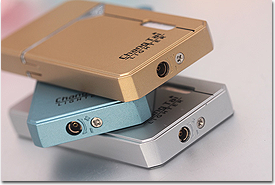 Since more weight is allowed, you can ship more items thus reducing the shipping costs per item. Furthermore, if a wooden pallet gets damaged, it is much easier to repair than plastic pallets. If a plastic pallet gets damaged, there is no simple way to repair plastic. You just have to take the loss and recycle it. On the other hand, wood pallets are much easier to repair. Tools such as dismantling bars are designed to help remove interior boards for replacement within wooden pallets. Although wood pallets offer an inexpensive alternative for shipping goods in bulk, there are also drawbacks when using them to ship goods. Since wood is an organic material, it is susceptible to the forces of nature. Since wood is gathered from forests around the world, the wood used in pallets may contain traces of insect larvae, bacteria, and diseases. The larvae can hatch and the resulting insects can make their way into your shipment. As result, if you ship goods overseas, you may need to treat the wood to prevent infestation, which will increase shipping costs. Before deciding on wood pallets, examine shipping regulations of your destination country to see if treatment is necessary. In addition to holding potentially harmful agents, wood can absorb moisture very well. Consequently, wooden pallets could be a breeding ground for mold, which can spread to your goods. Your shipment could get ruined, especially if you ship food products. Another disadvantage to using wood pallets is that the material is rough on shipments. Since wood is a coarse material, it contains splinters that could damage fragile goods. Fasteners, also present, can damage goods as well. There are advantages to using plastic pallets, too. Although plastic pallets aren’t easily repairable, they are made from 100% recyclable and reusable material. In some cases, you will be able to use the plastic pallet for another shipment. For example, if you are in the pharmaceutical or dairy industry, you can request your plastic pallet to be returned. Since plastic pallets have a lifespan of 10 years, you could keep reusing these pallets and thereby reduce shipping costs. Since wood is a fragile material, wooden pallets are easily damaged. As a result, you may need to keep reordering wooden pallets for shipment. Even though plastic pallets are more expensive, their reusability could help you save in the long run. Also, unlike wood, plastic is not an organic material. Because of this, plastic pallets are much less likely to harbor harmful bacteria or insects. 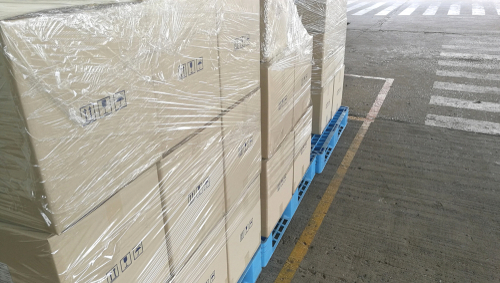 In addition, these pallets can easily be washed and disinfected of bacterial agents to make goods ready for shipment. Although plastic pallets have excellent properties, there are also some disadvantages to using them. One main disadvantage is the high cost of plastic pallets. Since they cost much more than wooden pallets, there is a high initial investment required to purchase one. Also, since plastic pallets can only handle a lighter load, the cost issue is exacerbated. In addition, if a plastic pallet gets damaged, it cannot easily get repaired. It must be recycled. You could potentially lose your investment in a single shipment and not get the benefit of durability. Another disadvantage is the lack of friction. Unlike wood, plastic will have less friction, which might make the pallets harder to handle on certain equipment. 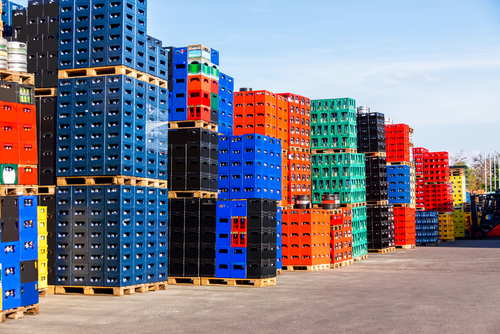 If your business is trying to decide whether or not to use wooden or plastic pallets, then consider the pros and cons of each and consider factors such as your industry, initial investment available, or shipment destination. 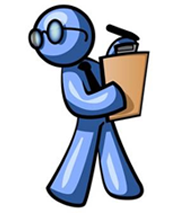 Examining each of these will help you and your goods arrive at their respective destinations. This entry was posted in Pallets, Plastic Pallets, Wood Pallets on March 29, 2016 by madden_david.